In an exclusive story, we can reveal that Honda Cars India has started production of the Honda Jazz based Crossover prototype in India. The testing will soon begin, divulged our trusted sources. No other details have come into light just yet but it could be the WR-V that has been spied running trails several times in overseas markets recently. The artist renderings of the Honda WR-V from QuatroRodas Brasil surfaced on the web a few weeks back as details about the all-new model from the Japanese auto giant have slowly been emerging of late. The speculative computer generated images will give some understanding of what is in store from Honda as Jazz is already an all-round popular premium hatchback. The crossover space has boomed with a huge surge in sales in the domestic market and also globally. Honda wants a big meat of that segment’s share and along came the WR-V crossover which will be a global product. 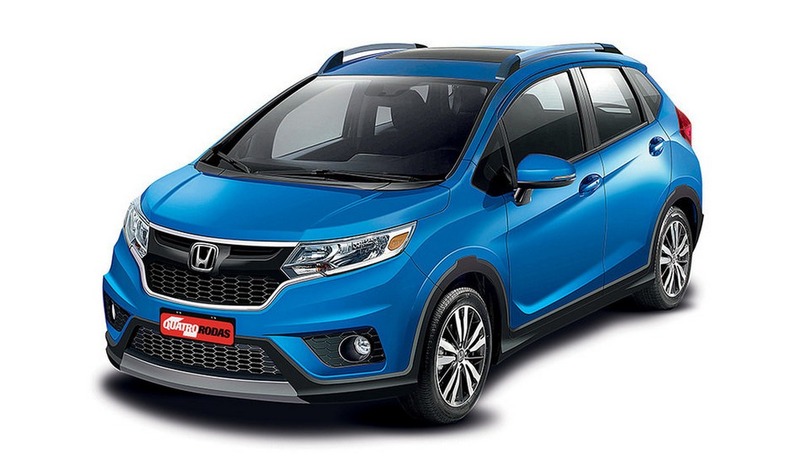 More likely Honda Jazz based Crossover to be christened as Honda WR-V, to stand in line with CR-V and BR-V SUVs, the crossover could be introduced as early as next year considering the decent success of the Jazz. It is to be positioned between the Honda Fit/Jazz and Honda HR-V.
As the Jazz itself due for an upgrade, its crossover derivative could be revealed in the closing months of 2017 or in the beginning of 2018. The premium hatchback segment gave rise to a variety of crossover versions like the Volkswagen Polo Cross, and Hyundai i20 Active and therefore Honda might not find it hard to lure customers in as the base is already there. The Fiat Avventura and Toyota Etios Cross could add to the competition as well for the Honda WR-V. As Brazil carries huge potential as a crossover market, Honda is expected to host the world premiere of this model at the 2016 Sao Paulo Auto Show in November. Going by the rendering, the Honda WR-V will have the overall shape with front and rear design being heavily influenced the Jazz. 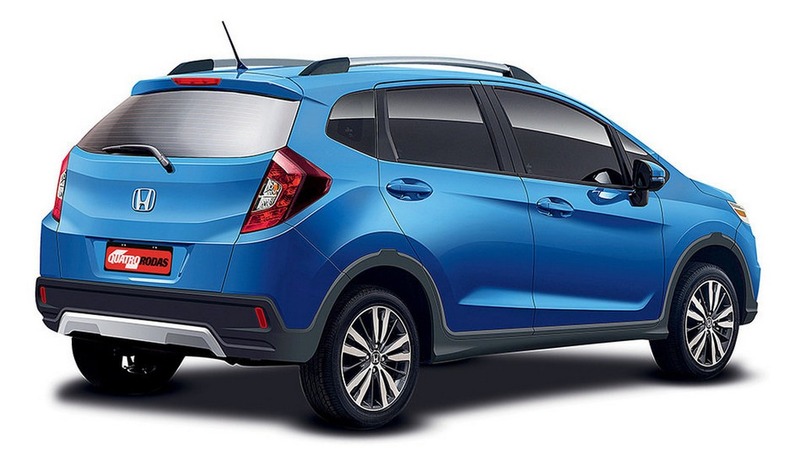 As for the powertrain, the Honda WR-V crossover in foreign markets like Brazil will get a 1.5-litre i-VTEC FlexOne (petrol/ethanol) motor derived from the Fit and it comes mated to a standard five-speed manual or CVT auto ‘box. The engine develops 115 hp maximum power and 149 Nm of peak torque. For India, probabilities of it retaining existing engine lineup, 1.2 petrol and 1.5 diesel, from Jazz is high.